Podracing is a dangerous and occasionally deadly sport. Extremely popular throughout the galaxy, locals love to gamble on the races and turn out in huge numbers to view the spectacle. Sounds familiar? Motorsports fans will tell you, this isn’t far off reality. 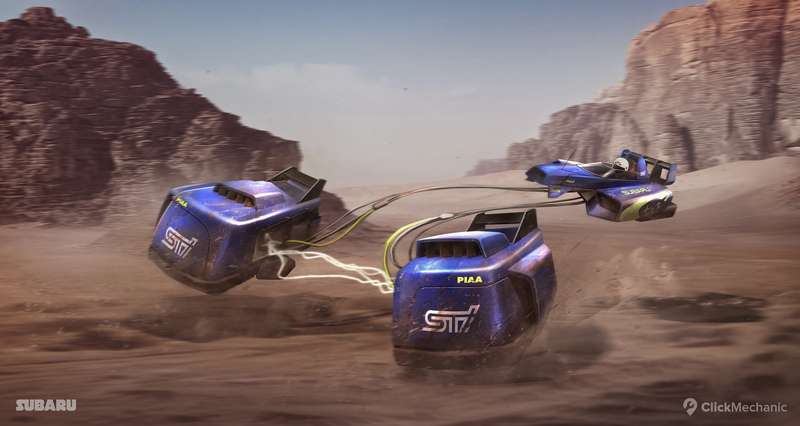 So we decided to see what would happen if real car manufacturers produced Podracers. Let’s face it, there is no F1 without Ferrari, so that’s where we begin. These Italian giants have more than 200 Grand Prix successes and are the most successful team in F1 history. 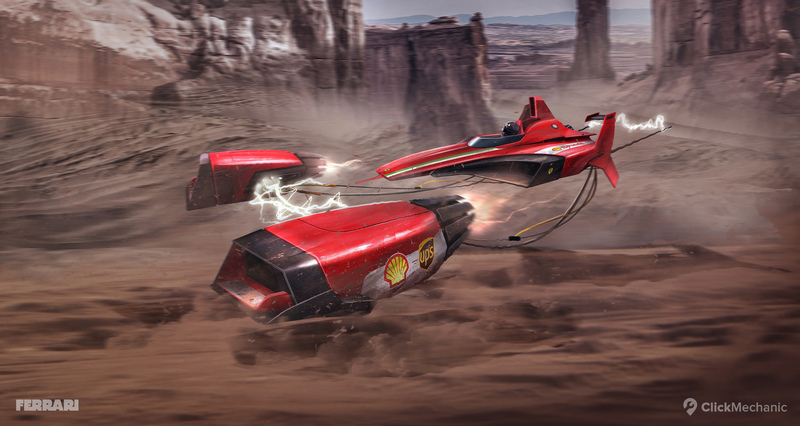 No Podracing tournament would be complete without this iconic red racer in the mix. Lamborghini is a star of the The Blancpain Endurance Series, scoring three consecutive wins in 2017. 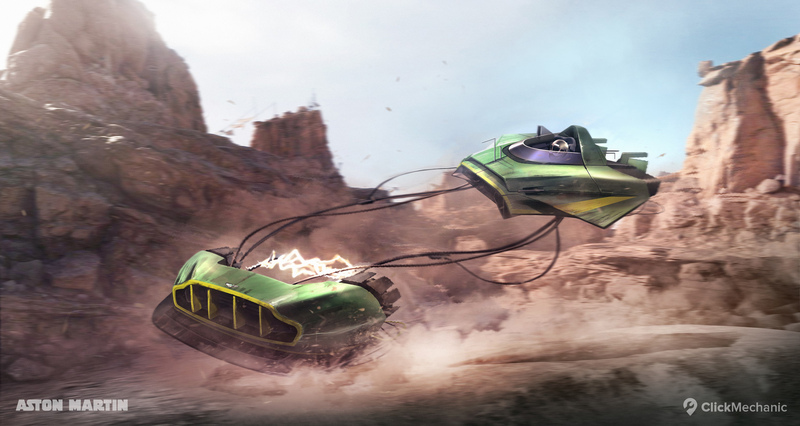 Famed for its superior aerodynamics, we can easily imagine this racer cruising through the air at high speed. It also comes equipped with an escape hatch in the roof, which could really come in handy in Podracing. Aston Martin enjoyed a famous victory at 24 Hours of Le Mans in 1959 and repeated the victory again this year when the team won dramatically in the final lap. It’s this kind of ‘never give up’ attitude that would make it perfect for Podracing. 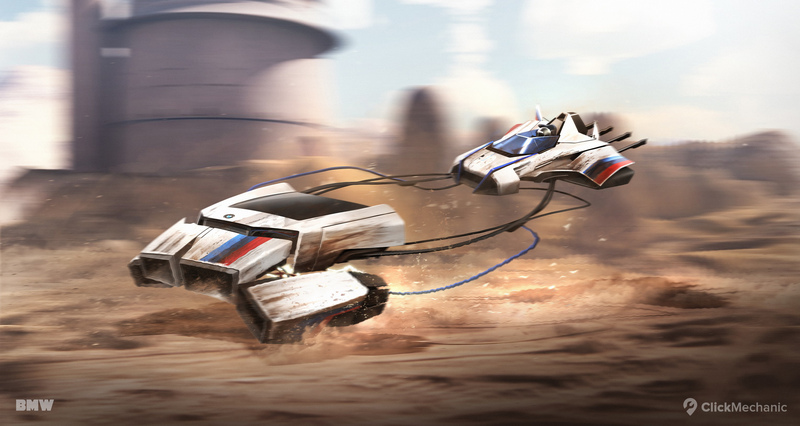 We can imagine a few intergalactic bets being put on this racer. Amazingly, the Ford GT40 won the 24 Hours of Le Mans for four consecutive years starting in 1966. Under the instruction of Henry Ford himself, the American-British endurance car was powered by engines that were specially modified for racing. Ford had wanted one of his cars at Le Mans since the early 1960s. We bet he’d be delighted to see a Ford flying through the air. Subaru announced its withdrawal from the World Rally Championship in 2008, ending a 19-year run. During this time the team won three manufacturer’s and three driver’s championships with the much-loved Impreza. 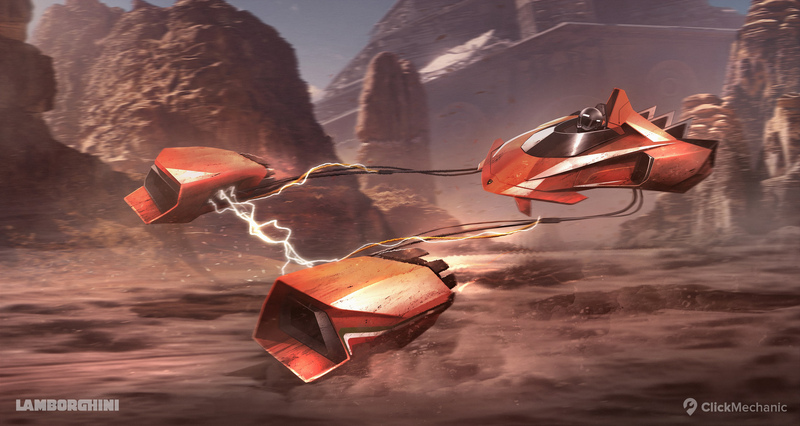 The perfect combination of power and good looks, this vehicle would add a touch of class to the Podracing proceedings. Over the years BMW cars have been extremely successful in motorsports, particularly the European Touring Car Championship, where their cars have 28 wins. They withdrew from the WTCC at the end of the 2010 season, but no Podracing tournament would be complete without this German powerhouse. Talk about a rich history! Dodge has won a total of 217 NASCAR races. In 1969 alone they pulled in 22 wins. It might not be over just yet; a top NASCAR engine builder has hinted that Dodge could return to NASCAR in 2018. Either way, we were determined to enter them into this Podracing tournament. 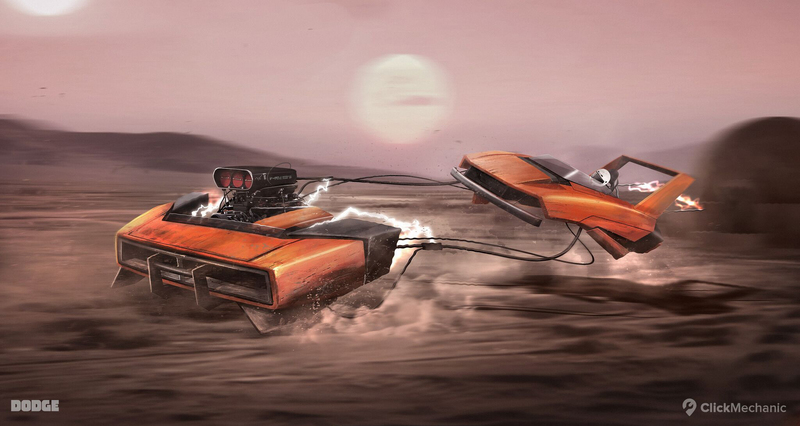 Aside from all the excitement, Podracing also has a rich history; when Anakin Skywalker won the Boonta Eve Classic on Tatooine, he won his freedom and changed the course of history forever. 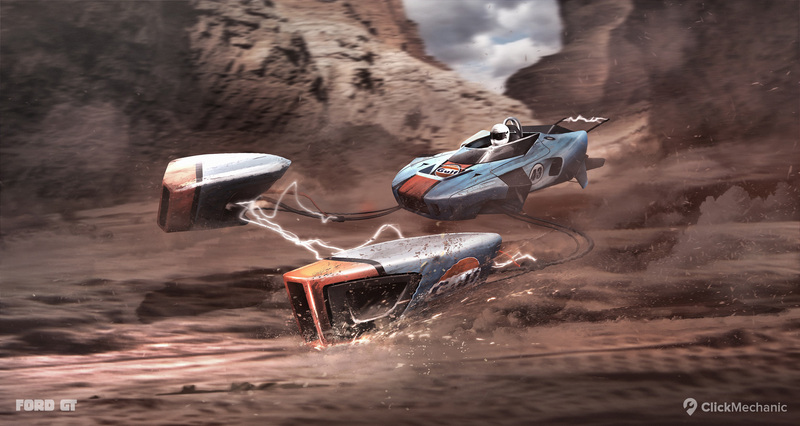 With these new racers in the contest, a new chapter in the Podracing story is in play.